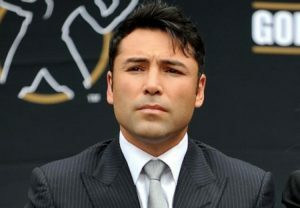 Before the new year even begins, 2012 is shaping up to be an exciting time in the sport of boxing. Several developments have made for fights that are scheduled and events that are worth looking forward to. So here, in the spirit of Christmas and the holidays, I present several gifts from the great far-from-dead sport of boxing. No, we don’t have a Pacquiao-Mayweather bout scheduled, but plenty of other great fights are on the docket, so get over it. 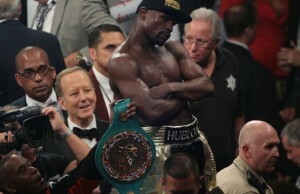 With Mayweather headed to jail for ninety days the dream bout is that much less likely to happen (and it was not very likely in the first place). It means you will not be like the people in the Lexus commercials that get a new luxury car for Christmas (really, who does get a freaking Lexus for Christmas, seriously) but you still have several fine gifts under the tree waiting for you. This was the gift you wanted, told everyone you wanted, and made it clear that someone better get it for you. This fight is an excellent occurrence on several fronts. Right off the bat, there was the fact that the first go round was a fight of the year slug-fest, so why not ask for part two. Often rematches of action fights are more tactical the second time around but don’t count on it with these two. Their styles should make for exciting fights which boxing fans want. Throw in the fact that the fight was made despite Berto having to give up a title belt to make it happen and it shows that boxing may be heading in the right direction of valuing good fights over boxing politics. That is a gift worth receiving if you are a boxing fan. This one, taking place in Germany, will be well worth the effort of finding an internet stream if you are trying to watch from the States. Both fighters are bitter over the outcome of the first fight, especially Cunningham who feels he was the victim of blatant hometown manipulation that cost him his title. The first fight provided decent action while it lasted, but this time around i should be even better as both men will likely push for a knockout to take any funny business out of the hands of judges, referees, and/or doctors. Last year was an incredible year for ESPN’s boxing series and this year’s schedule thus far appears to be following in the same footsteps of giving fans good boxing over and over. 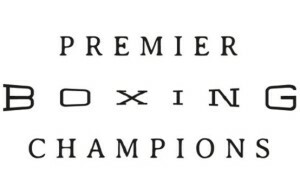 The opening card on 1/6 has two evenly-matched fights right off the bat between contenders Dyah Davis and Alfonzo Lopez and prospects Denis Douglin and Sam Martinez. Then. Teon Kennedy, who does not know how to be in a bad fight, is matched with Chris Martin the following week. 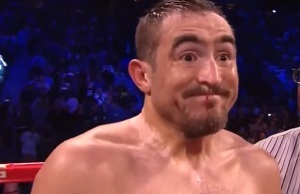 Throw in: Provodnikov-Diaz should be fun, Demetrius Andrade-Derek Ennis, and John Molina–and you are guaranteed quality action. Forget that this is not for a title and that either guy would get destroyed by a Klitschko (or already has been). So, you got a forty inch flat screen instead of a 60 inch. It is still a great TV and you are going to watch it. Simply enjoy the fact that two heavyweights with good boxing skills that are around the same size will be fighting on TV. If these two fought in the ‘golden eras” of the heavyweight division they would have been about the same size as other top heavyweights. It is more of a recent phenomenon we have become obsessed with the jolly green giant heavyweights and only care about the 200 plus division if it involves someone who can beat a Klitschko. Appreciate the fact that two very skilled fighters will step into the ring for quality heavyweight action that is on free cable. The opening card of this series on January 21 from the Arena in Philly and, in general, NBC getting back into boxing with Main Events Promotions may become the biggest development in boxing in the future years. Frankly it is the iPhone or modern technology of modern boxing. It may be the innovation that was needed to keep boxing moving forward in a new and fast changing world. Several key points that are positive: At least four shows will be broadcast on NBC Sports Network, which is free cable (meaning no PPV, subscription network, or extra cost to the fan). The shows will be promoted by a company in Main Events that knows how to actually “promote” boxing by using every possible outlet to bring attention to the event. But all of that is meaningless if the product that is promoted and shown on TV does not deliver. Well, the hype is that the fights will be based on solid, old-school matchmaking. This is not set up to be another chance for coddled prospects to beat up an inferior opponent. Take, for example, the the first show’s supporting bout between Gabe Rosado and Jesus Soto-Karass. Between the two fighters they have eleven losses (five for Rosado and six for Soto-Karass) but that was not the point when this fight was made. The point was that both guys are willing to engage, both guys have good talent and experience, and the combination of these two in the ring will benefit the fan because it should be exciting. 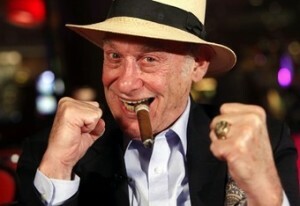 With hall of fame promoter Russell Peltz being the primary matchmaker for the NBC cards, this type of fight will be the norm. It should be a win-win for boxing and its fans. 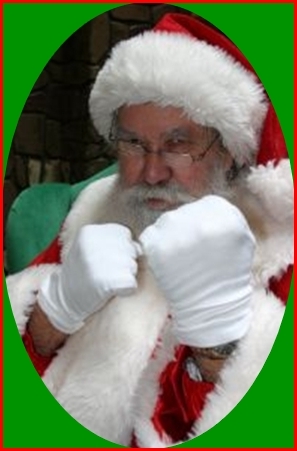 So, from me and everyone at the Boxing Tribune– Happy Holidays! Eat, drink, be merry, and protect yourself at all times. Best wishes to all and to all a goodnight.